Unfortunately, if you don’t have a car, there are few beaches easily accessibly by public transport. By T (the subway): the easiest beaches in Boston to reach by T are Revere Beach, from the Wonderland stop on the Blue Line, and Carson Beach, from the JFK / UMass stop on the Red Line. Revere Beach is a very large beach, with a big stretch of covered picnic tables that make it good for group outings. Unfortunately, I’m still not a fan of either beach. They’re just less maintained than other beaches (more trash, debris), and don’t really have a boardwalk of businesses nearby that might make it worth it to still be so close to the city. By commuter rail, nearby: I’m glad to have discovered Singing Beach through a friend. It’s a private beach you pay a small admission fee to walk onto, a short walk away from Manchester Station on the commuter rail. It’s Zone 7, so $18 round trip fare to get out there, but if you’re looking to get away from the city and enjoy the beach, it’s a nice option. There’s a small plaza of shops right outside the station if you want to grab food or drinks just before the beach, and other options if you walk into town first. I was surprised to see that this is one of the only beaches accessible by commuter rail. King’s Beach, in Lynn, is another option, but it’s unfortunately ranked as the dirtiest beach in the state, with high bacteria counts coming from storm drain overflow leaking into the water. 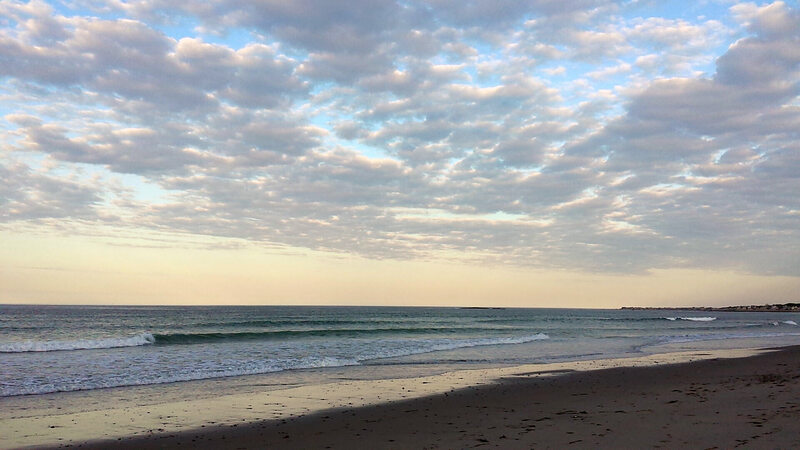 By commuter rail + a short bus: Recently I learned that one of my favorite beaches, Crane Beach, has a $5 weekend shuttle connecting it to the commuter rail stop at Ipswich. This is a great deal. Even factoring in the cost of a commuter rail ticket, it’s less expensive than gas / Zipcar rental plus the $22 parking fee for non-members. Just take the commuter rail from North Station to Ipswich, then catch the CATA Bus to Crane Beach. Highly recommended. By ferry: There are also ferries leading to Provincetown and Spectacle Island (one of the Boston Harbor Islands). The ferries to Provincetown can be expensive, but they have beautiful beaches and the city itself is an experience. The ferry to Spectacle Island, which leaves hourly from Boston’s Long Wharf, takes only 20 minutes and cost $15 round trip. Spectacle island has lots of beach, lots of walking trails, and great views of the city. By complicated: If you’re willing to go the distance, the commuter rail also runs to Providence, Rhode Island, where between ferries and the state public transport system, RIPTA, you can get trolley rides to beaches including Easton’s Beach, Narragansett Town Beach, and Sachuest Beach. Next Next post: Visited the Sketchbook exhibit at the Nave Gallery Annex, and got a tiny piece of art.